Hi guys and welcome to my review of the second item I picked out from Everlane's June line-up of releases. The first one was the Easy Chinos that I reviewed here (and I noticed are all sold out in the ochre color I featured--did I do that? Or am I just getting a big ego lol >.<). The second item I picked out was this cotton notch-collar popover shirt. 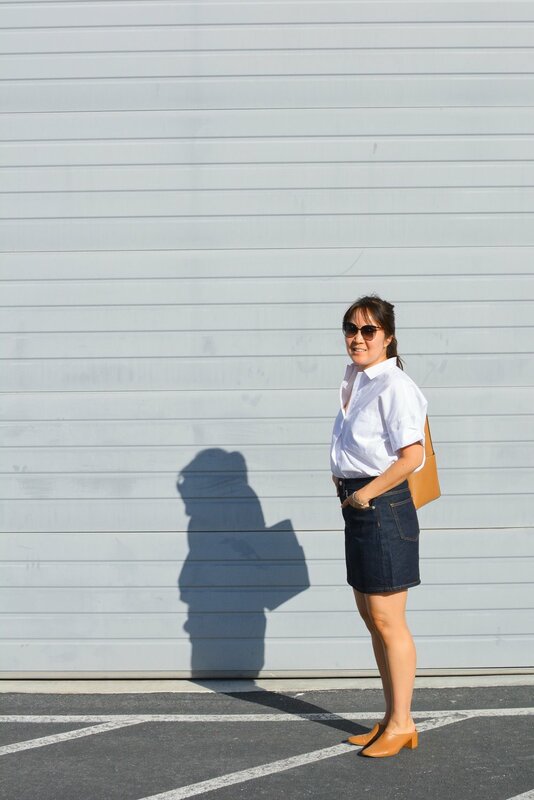 I chose it because I tried Everlane's soft cotton popover shirt and loved it (though I didn't keep it since it was pretty expensive for a shirt). This version is $20 cheaper and has short sleeves which are perfect for hot summer days! I went with the classic white color because I wanted a simple crisp white shirt and I'm happy to report this top is fully opaque! The material is a sturdy lightweight cotton that does wrinkle a bit, but nothing my handy dandy travel steamer can't fix in a jiffy. I love this popover style without buttons because it makes the shirt easier to tuck in and there's also no gaps where the shirt pulls away from the buttons. And the notch collar is a subtle but cute touch on a fairly plain white shirt. I'm wearing a size 2 here, which is one size down from my usual 4. And the shirt is still a bit oversized. If you're looking for a fitted button-down type of shirt this isn't it. 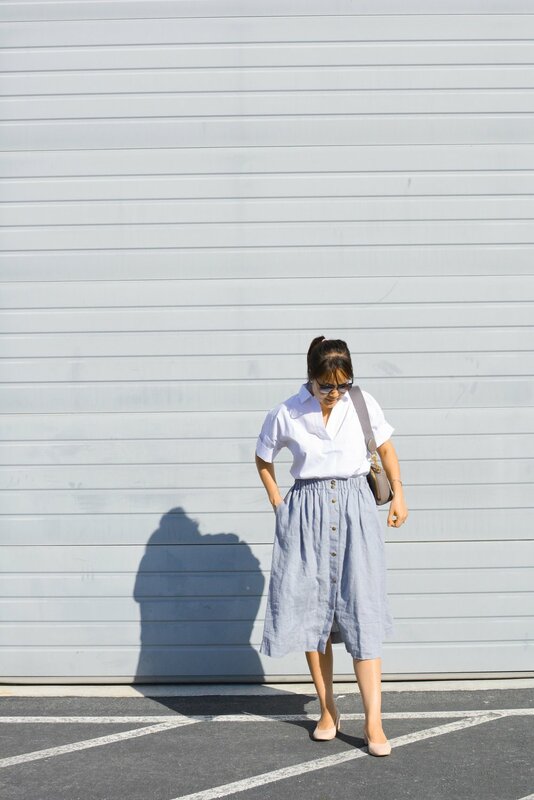 But I actually like how it falls away from the body since it helps balance out more fitted bottoms like this Everlane denim skirt. Also the sleeves were a bit long on me so I rolled them up once. Doesn't that looks like some kind of school uniform lol? Anyway this shirt is being released today and thanks to Everlane for gifting it. But more importantly thank you guys for your continued support of my reviews! Also, this recent article about the classic white shirt is an interesting read if you've got the time.